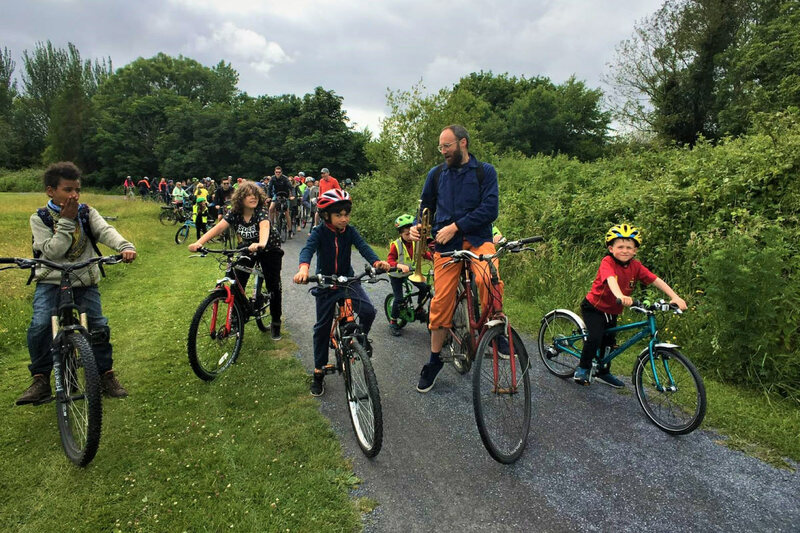 A Free Family cycling event organised by An Taisce Green-Schools, Connemara Greenway Alliance, Galways West End, Galway City Council and An Garda Siochana will take place on World Car Free Day in Galway. The event called ‘Kidical Mass 2018’ will kick off at 10:30am on Saturday 22nd September. The cycle will begin at 10am in Fr. Burke Park. and end at 2pm in Galways West End. 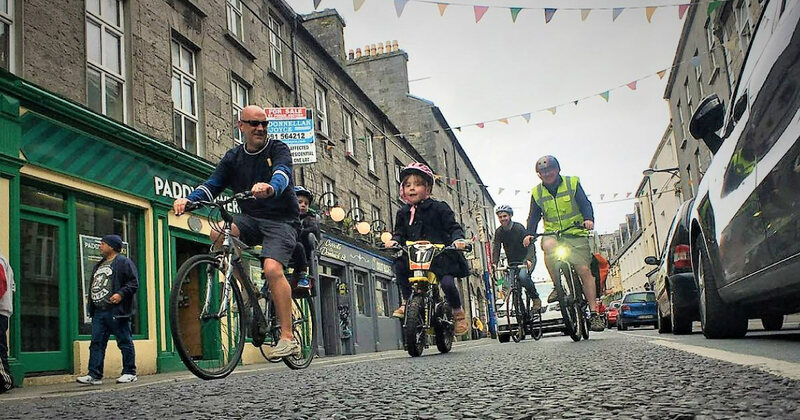 Cycle through the streets of Galway City as part of ‘Loving Galway’, which celebrates the Green and Blue Spaces Festival which takes place from Thursday September 20th and runs until Sunday September 30th. Children will be taken on a guided cycle tour on road, over bridges, along the Eglinton canal and back to Fr. Burke Park. There will be rolling road closures with Garda support. Once back in Fr Burke Park, the bikes will be parked up and there will be music, face painting, a bouncy castle and plenty of bike games. Anyone attending will need to bring Hi-Vis vests, and as safety is a priority, helmets are essential. All children are welcome but must be accompanied by an adult. For more information call Tiarnan on: 085 777 6990, and Stay tuned to Galway’s West End on social channels for updated information.